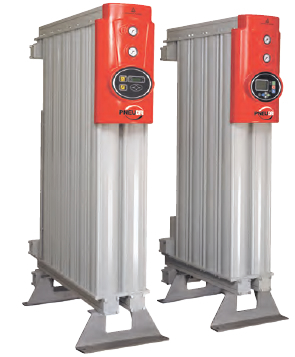 Using patented Parker domnick hunter technology,PNEUDRI MX heatless dryers provide the ultimate in clean and dry compressed air. Compressed air purification equipment must deliver uncompromising performance and reliability whilst providing the right balance of air quality with the lowest cost of operation. 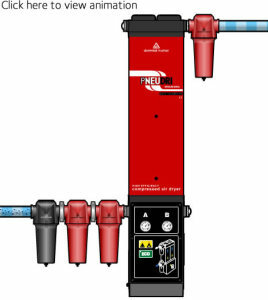 Many manufacturers offer products for the filtration and purification of contaminated compressed air, which are often selected only upon their initial purchase cost, with little or no regard for the air quality they provide, the cost of operation throughout their life or indeed their environmental impact. When purchasing purification equipment, delivered air quality, the overall cost of ownership and the equipment’s environmental impact must always be considered.